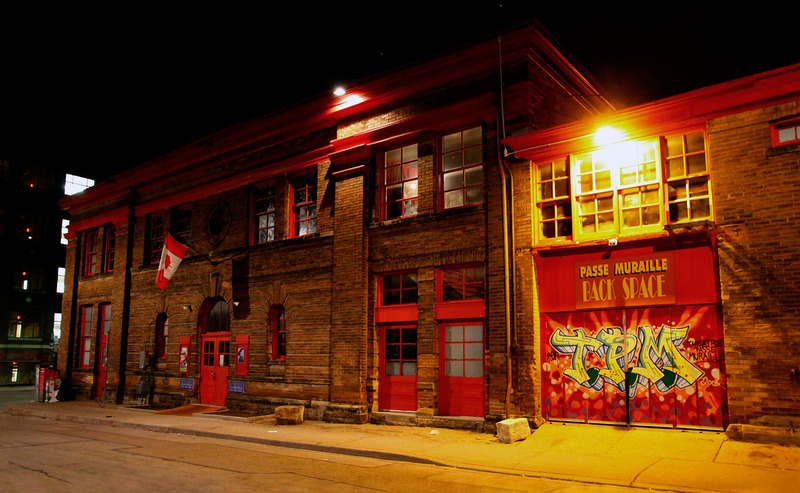 One of Canada’s most influential alternative theatres, Theatre Passe Muraille (theatre “goes through walls”) was founded in 1968 by director and playwright Jim Garrard, who started the company out of Rochdale College. 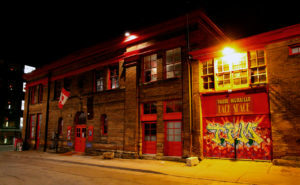 Its radical intention was create a distinctly Canadian voice in theatre. It was conceived in the notion that theatre should transcend real estate; that plays can be made and staged anywhere—in barns, in auction rings, in churches, bars, basements, lofts, even in streetcars; and it was interested in the idea that theatre need not be a vehicle of social change, but rather it should endeavour always to be a mirror to social change.